Companies that offer a range of end-to-end drone services are becoming increasingly significant players in the domestic drone industry. One such company is Cape Productions, which recently made headlines for carrying out the first Facebook live stream from a drone. We spoke with the CTO of Cape to learn a little more about how these companies work, and what their role will be in our drone-filled future. At the Air Force Times, Oriana Pawlyk debunks the Taliban’s claim that its forces shot down a U.S. drone. At the Jamestown Foundation, Azad Garibov writes that drones could feature prominently in renewed border hostilities between Azerbaijan and Armenia. At Aviation Week, Graham Warwick writes that DARPA projects increasingly emphasize the development of advanced algorithms rather than new platforms. At Forbes, Yue Wang writes that, in spite of competition from new manufacturers, DJI is still the leader in consumer drones in China. Also at Forbes, John Goglia considers the reason why the FAA appears to be withdrawing plans to develop a system for the public to report suspicious drone activity. At the Wall Street Journal, Andy Pasztor and Robert Wall examine how Airbus is working on to improve its position in the global drone industry. At Just Security, Anthony Dworkin argues that while the British Parliament’s report on targeted killing offers sensible policy recommendations, it leaves many questions regarding European counterterrorism strategy unanswered. At War on the Rocks, Jules Hurst proposes a tactical framework for a future in which fighter pilots control multiple drones. 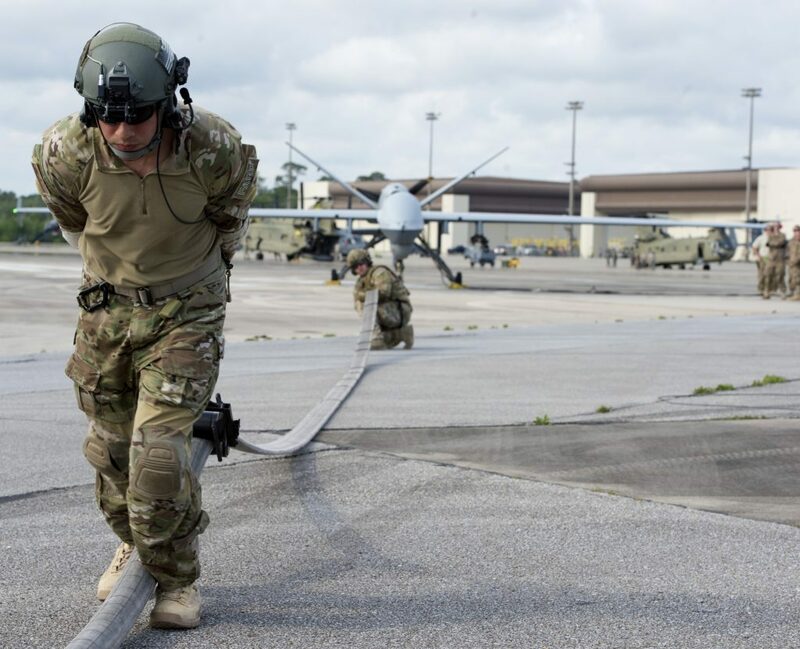 A RAND report on innovation in the U.S. Air Force examines the role that drones have played in high-value targeting operations. At the Asia Maritime Transparency Initiative, Heiko Borchert argues that unmanned undersea vehicles are unlikely to change the strategic calculus in the Pacific in the near future. At the Wall Street Journal, Dan Gallagher writes that the stakes are high for GoPro’s entry into the drone market. Slate used a consumer drone to test how much it could see when used to peep inside a willing participant’s window.